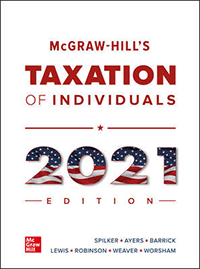 The Individual Tax Fundamentals course provides individual federal tax education and helps candidates pass the Tax Certification or Tax Fundamentals exam. The course does not include the exam. The Individual Tax Fundamentals course is a popular first-level tax course that provides a clear concise explanation of the fundamental tax concepts covering individual federal tax planning and compliance. This course covers core individual tax concepts and principles including gross income, deductions, and credits.